Suffice it to say that Egypt is a treasure trove for visitors raging from archaeology buff to world exploration junkie. Besides pyramids and nice beaches, there are so much more to encounter!  Want to make life easy? My Odyssey Tours has hand-picked 8 great things you shouldn't miss in Egypt, like the ones shown below, to help you get the most from your Egypt travel. A visit to Cairo's landmark Egyptian Museum is a journey of exploring the mystery: the labyrinth of more than 100,000 relics, including intact plant seeds, bread, furniture, coffins, papyrus paintings that you wouldn't believe they have survived over 4,000 years. The entire second floor is dedicated to King Tutankhamun, with countless gold grave goods from his famed gold mask to his carriages. Surprisingly, I found his royal sandals similar to my modern sandals – presumably designers must have got inspiration from these ancients with good taste. "Wow" is the only word to describe world's largest collection of Egyptian art you see here. I'd suggest go with a private guide to get a better perspective of the displays, and only visit the important sections as it is impossible to go through all the items even in one day due to their large scale. 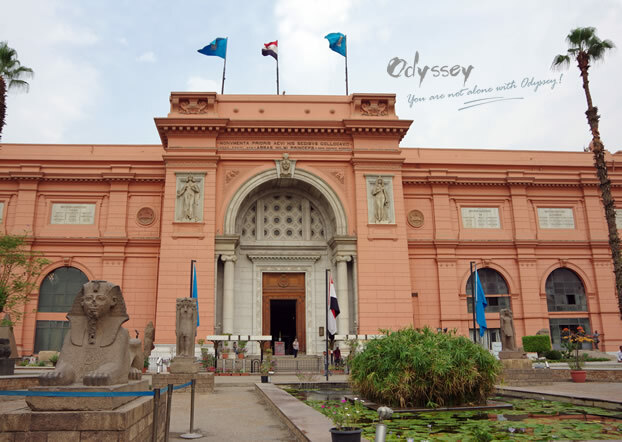 The imposing Egyptian Museum is a 100-year-old listed building itself. I don't smoke nor do I advocate for tobacco, but Shisha is something worth a bold try when traveling to Egypt. Unlike cigarette tobacco, Shisha is a blend of fresh tobacco leaves and molasses, perfumed with artificial fruit flavors, mostly apple. More flavors like strawberry or orange are also available. A plastic nozzle is provided for hygiene purposes. It is widely believed that Shisha contains the least nicotine and tar for the water filling the pipe removes the nasties as you inhale. Today, Smoking Shisha is a popular social event like it was hundreds of years ago. The Muslim men and women, who are not nightlife goers, like to while away hours smoking Shisha in cafes. For visitors, it's a must to experience the pure magic of leisure moment of the Middle East. Women smoking Shisha is nothing unusual in Egypt. Aswan has been located upstream since the high dam was built across the Nile in the 1900s. 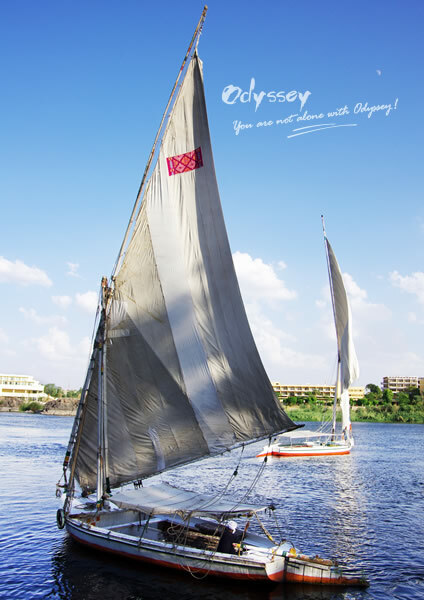 An afternoon felucca ride makes you enjoy the best view of the river in the absence of an engine. As the canvas opens, you will hear only the sound of the water, with birds flying over head, sailing along the stunning topography, with desert and oasis on both sides, on the gentle breeze. The unspoiled foliage, archeological sites on the bank and fishing Nubians are caught clearly in the sunlight, and the delight continues with a shore excursion to the botanical gardens. You will be amazed at how skillful the captain keeps his little boat, while fully absorbing the charm of the Nile through his narration. The usually 3-hour ride is well worth time. Note that a felucca will be replaced with propelled boats if there are no sufficient winds. Felucca acts more than an ancient river mode of transport in the Nile today. Situated 230 km southwest of Aswan, the colossal Abu Simbel Temples was built as a memorial for Ramses II and his beloved wife Nefertari at the peak of Egypt power. Something phenomenal about the temple is that the internal chamber was built to light up for 20 minutes by the rays of the sun on the bi-annual Sun Festival, which signifies the day of Ramses II's ascension to the throne (around February 22nd) and of his birthday (around October 22nd). Before UNESCO relocated the temples for fear of flooding, piercing light would illuminate the statues of Ramses, deities Ra and Amun, while Ptah the god of the darkness was left in the shade on the festival day. Since the site was moved 65 meters higher, now the four statues are all bathing in the stream of light. However, if you dislike crowds, visit the temples except the Sun Festival would be a smarter choice. 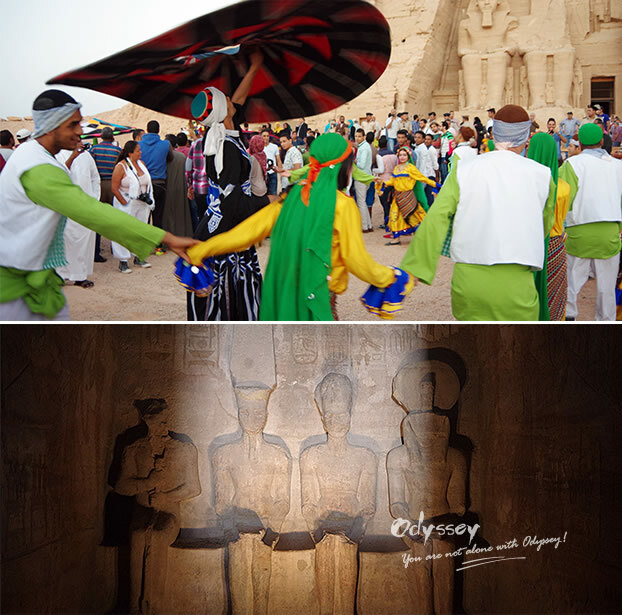 Local dance troupes and musicians performing on Sun Festival & The sun illuminates the statues inside the Abu Simbel Temples. In the amazing Valley of the Kings that is known to contain over 60 tombs, the Tomb of Ramses VI is the best and well worth extra ticket. Not only it remains the largest burial chamber here, but it has been well preserved like no one has ever entered throughout more than 3,000 years. 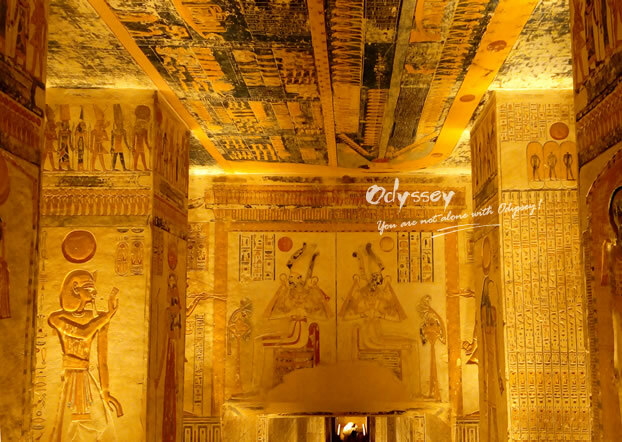 The intact ceiling decorations depict vivid details of theology, the writing and painting on the wall follow ancient Egyptian life, all make you wow at these beautiful designs and the mix in color. With interesting stories listened to, we are told by our private guide that the technique for keeping the color fresh still remains another mystery. The famed Tomb of King Tut costs extra entrance fee too, but it doesn't provide the same value as the Tomb of Ramses VI for most antiques have been transferred and displayed at the Egyptian Museum. I was totally spellbound with the interior of the chamber. Oh who wasn't? 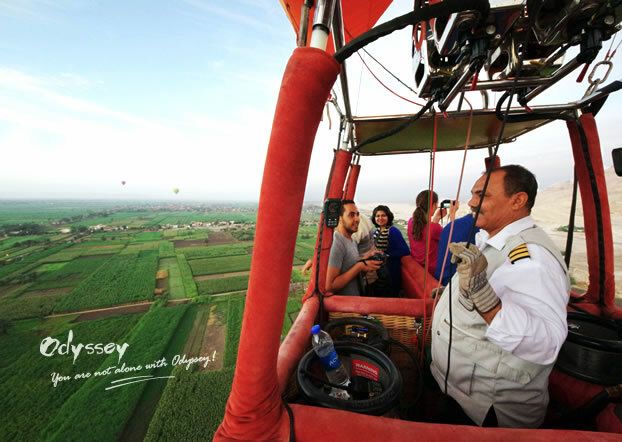 If you can't get enough of a simple land tour in Luxor the day before, take a morning hot air balloon ride to get a different perspective from above – it's like a journey back in time! As you fly in the rosy glow of dawn, the vast, flat Valley of the Kings starts to unroll the endless desert strip and shining sugarcane fields. It is easy to catch sight of ancient monuments, such as the Colossi of Memnon, Karnak Temple and Hatshepsut Temple, tombs, with soft and cool winds kissing your face. There is no more gorgeous view than the sunrise over the Nile. The experienced pilot steers the balloon in the best way so you can enjoy the breath-taking west bank and take lifetime pictures until it slowly landing in the desert for return. Definitely one of the highlights not to miss. Enjoying the natural beauty and historical sites at one time via a hot air balloon ride. Originated in Egypt, Whirling Dervish is usually practiced by Sufi Muslims as a form of worship: male performers wearing colorful costumes and skirts keep whirling as they listen to their master along with the mesmerizing music. The nonstop, surreal rotation lasts over 30 minutes without changing position, much resembles planets and electrons. The Sufis believe that through relentless whirling they will experience Allah! I was amused several times by the dancers who try to put a little humor into their performance and held on for the bathroom because I didn't feel like to missing a bit of the entire amazing ritual. The local Ministry of Culture hosts free Whirling Dervish at El-Ghuri Wakala at 8:30 pm every Monday, Wednesday, and Saturday, so better connect the schedule with your visit to the nearby Khan El-Khalili Al-Azhar Mosque on the same day. Excellent musical performances of Whirling Dervish. The heat keeps people from going out in the daytime. When evening arrives, the city of Luxor gets alive. A horse-drawn carriage is a common means of transport as well as the best way to experience the everyday life here. Driving through the bustling city, the driver will take you to the old part of the town, a traditional souq where vendors sell food, garments, and groceries. In a trance, it seems things haven't changed as it was hundreds of years ago. I was embraced with the sounds of haggling, delighted by the young kids who climbed into the carriage before us, stopped over for fresh juice break by the road, and didn't forget to return a smile when friendly locals passed and greeted me. Just wonderful. Horse carriage rides still enjoy their status in the Egyptians' hearts. Feel like experiencing more? You are welcome to customize your Egypt private tour via . 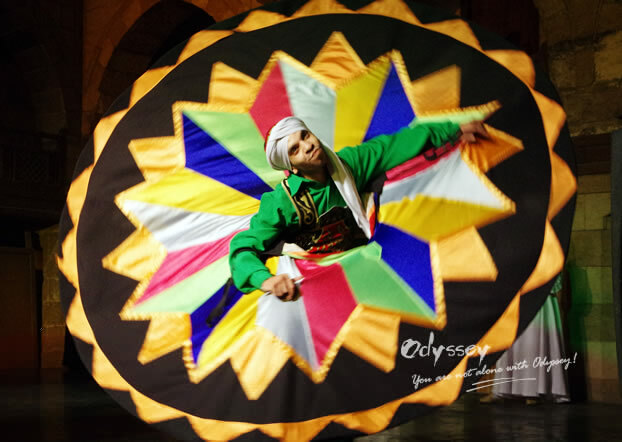 The travel experts at My Odyssey Tours will lead you to the highlights of Egypt and make sure your enjoyment is unique and memorable. Also, share this article with friends so they'll see what an incredible destination Egypt is! With the chance of exploring the destination region or continent more at a lower cost, to have a multi-country trip would be an excellent choice for a journey. Whether it's solo travel, a honeymoon holiday, or a family vacation, overseas travel requires a lot of planning, and that includes planning your travel money. Knowing how you will manage your money is essential to safe travel and will save you plenty of trouble.